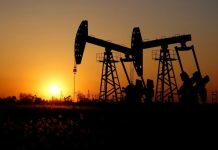 A ministerial panel of OPEC and its allies recommended on Monday that they cancel the extraordinary meeting scheduled for April 17-18, which means the next regular talks would be held from June 25 to June 26. “We are not under pressure except by the market,” Falih told reporters before the Joint Ministerial Monitoring Committee meeting in the Azeri capital, Baku, when asked whether he was under U.S. pressure to raise output. 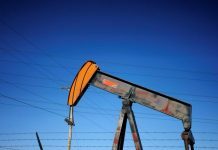 OPEC and its allies agreed in December to cut output by 1.2 million barrels per day – 1.2 per cent of global demand – during the first half of this year in an effort to boost prices. Inventory levels and oil investments are the two main factors guiding OPEC’s action, Falih said, adding that oil industry estimates show that 11 trillion dollars of investments will be needed over the coming two decades to meet demand growth.